BAYS U16 and U18 – NGS enters a High School aged team into the BAYS league each spring season. The season starts late-April and runs to mid-June. Games are on Sundays and teams try to schedule one practice per week. A registration information is normally emailed in late fall to all high school aged girls in the NGS database and will be posted on our website. Chestnut Hill S.C. is a new program aimed at players from Brookline and Newton. It’s a community based soccer club with professional coaches. 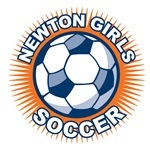 Newton High School Teams – HS soccer is a fall only sport. However, both North and South have club-like teams that play in the GPS Spring HS League. For more information, contact the high school athletic departments at Newton North and Newton South. Additional information for potential NNHS players can be found in our blog. Private Club Soccer – A number of former NGS players now playing with FC Stars, FC Boston, NEFC, and GPS. Tryouts for those clubs and others take place in early June. For more information check out their websites.